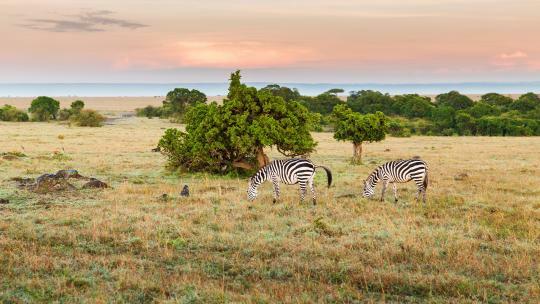 As Sri Lanka shakes off the scars of the civil war that raged between 1982 and 2009, and picks itself up from the devastation that was the Boxing Day tsunami in 2004, a new luxury travel destination has emerged giving this idyllic island a long overdue time to shine. 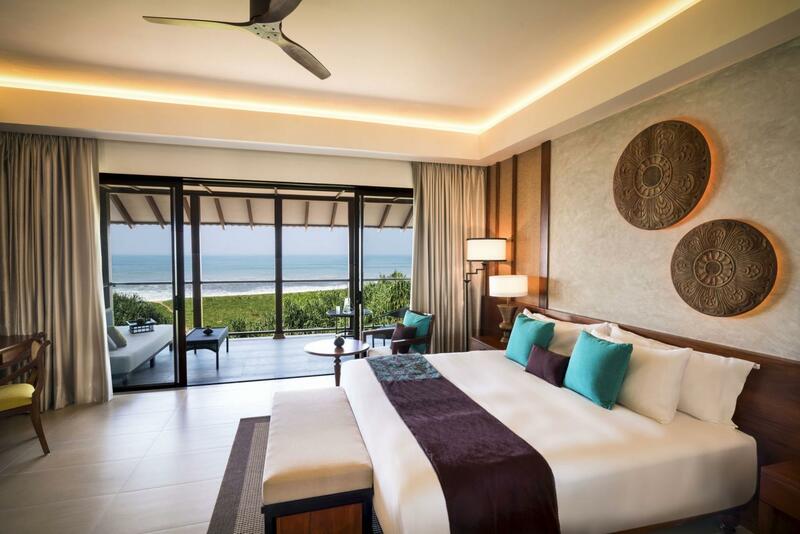 Touted as the top destination of 2016, a host of new luxury hotels have opened in Sri Lanka this year including the Shangri-La, Santani and Anantara which, with the newly opened Kalutara Resort, now boasts two high-end hotels on the south and south-west coast. As we touched down in Bandaranaike International Airport we were greeted with such warmth, our first taste of Sri Lankan hospitality (a strong contender for what makes a trip to Sri Lanka so special). 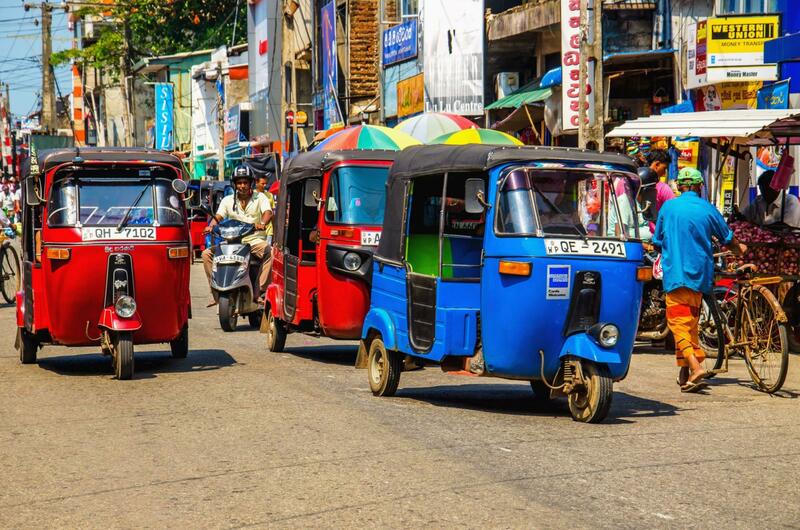 Travelling from London, the drive through Sri Lanka’s capital city, Colombo, was fascinating, though the tuk-tuks weaving in and out of traffic are nerve inducing at first. Our first port of call was to check in to the Anantara Kalutara Resort, which opened in October. As you enter the resort you are immediately struck by the architecture that dramatically showcases the Kalu River and the Indian Ocean. The original plans for resort were designed by Geoffrey Bawa before he passed away in 2003. 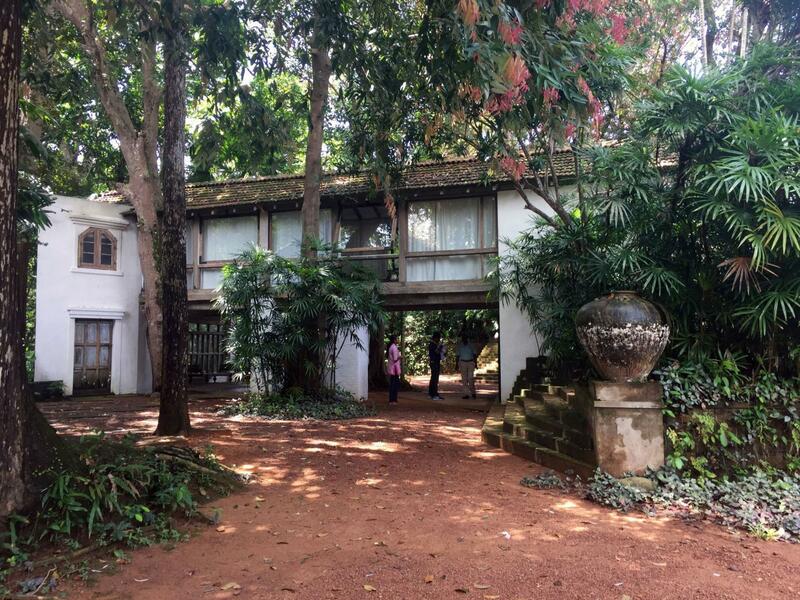 Those interested in the Sri Lankan architect’s story can read up about Bawa in the library at the resort which bears his name, or book a visit to his home and gardens at the Lunuganga Estate. Walking through the tranquil grounds gives you a glimpse into the life of Sri Lanka’s most famous architect. That evening, using Anantara’s bespoke Dining by Design service, we dined outside by the lagoon and devoured a spectacular feast featuring freshly caught fish and superb sushi that was beautifully presented, by our private chef, on a wooden boat. The following morning, after a dip in the pool (one is advised not to swim in the sea in Kalutara as the current is so strong and can catch you off guard, head further south to find safer beaches to swim in) and a luxurious buffet breakfast, we set off to explore Sri Lanka. As the island formerly known by its colonial name, Ceylon, is famous of its tea production, we went in search of a historic yet working tea plantation. Handunugoda Estate in the Southern Province is around an hour’s drive from Kalutara and well worth the visit. On our tour of the grounds and working factory (featuring 150 year-old machinery) our guide, Joseph, taught us about the history of the tea in Sri Lanka. You can sample some fine teas at Handunugoda and be sure to look out for the white virgin tea that’s packed with antioxidants. From Handunugoda head to Galle (around a 30-minute drive away) to stroll around the historic fortified city that was founded by the Portuguese in the 16th century (before the arrival of the British) and to marvel at the pairing of European architectural styles and South Asian traditions. 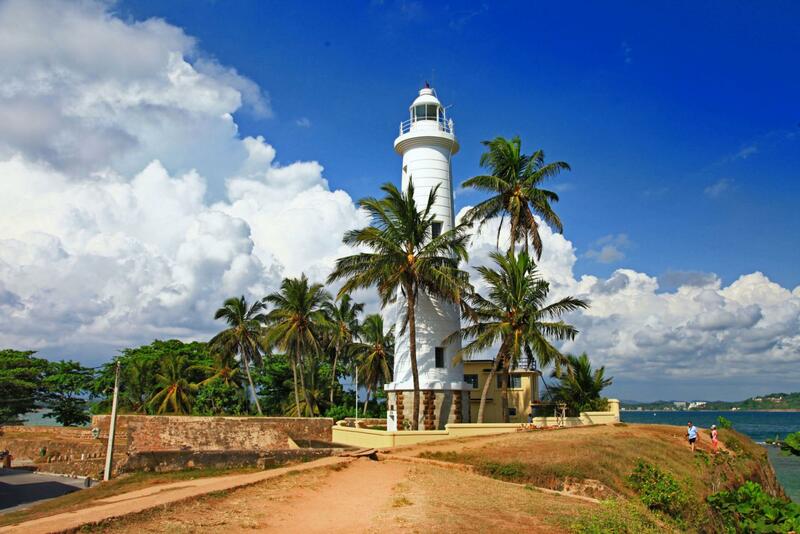 The Old Town of Galle and its Fortifications is a protected UNESCO World Heritage site. 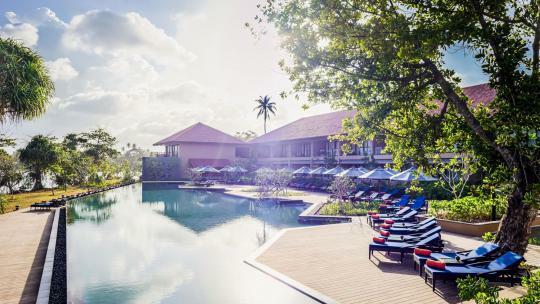 From Kalutara we travelled south – around three and a half hours in the car – to Anantara Peace Haven Tangalle Resort, which opened in December 2015. 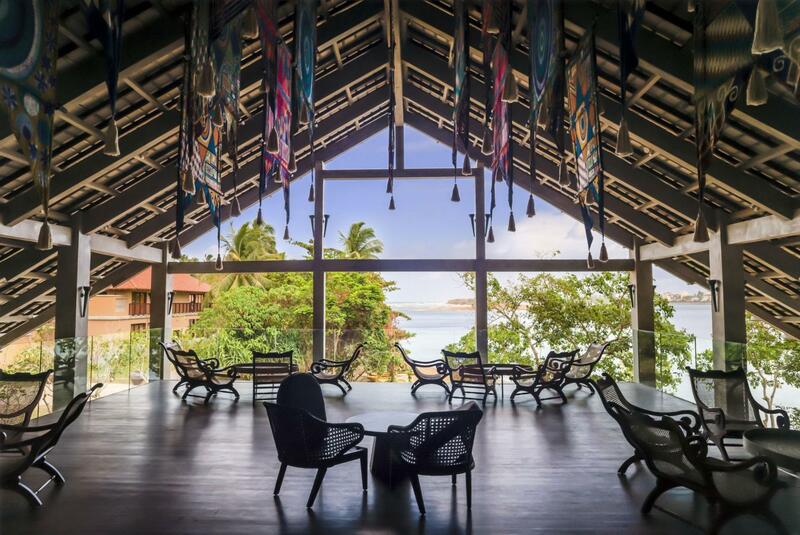 As you enter the resort in Tangalle you walk through a striking pavilion into the lobby lounge, where the building opens up to breathtaking views of the ocean. At both Anantara hotels we were treated to traditional Sri Lankan welcome ceremonies that kick-started our stays with something truly special. The Peace Haven resort itself is far bigger than its sister the in the south west and, lapping up the luxury, we were ferried to our villas in rickshaws and shown around by our personal butlers. We dined in Journeys, the resort’s international cuisine all-day restaurant, on our first night at Anantara Peace Haven Tangalle Resort. 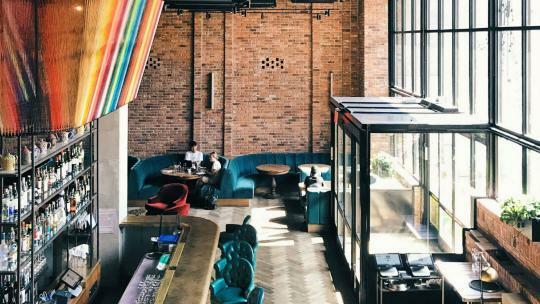 There’s a choice of authentic Sri Lankan dishes (try hoppers) and a choice of Middle Eastern cuisine too. Our next outing led us to an elephant orphanage to watch the baby calves run down for their breakfast milk. While it’s easy to feel sad at the sight of the orphans, the work here is to be applauded. There are 45 calves currently being cared for – they roam freely in the jungle, returning every three hours for their milk. When strong enough to fend for themselves the eles are then re-released to the wild. From Elephant Transit Home we took a safari drive through Udawalawe National Park, during which we saw a host of happy elephants roaming free. Peering through binoculars we spotted several exotic birds, including a changeable hawk eagle, white-throated kingfishers and a white egret. Elsewhere in the jungle we encountered wild buffalo, golden-tail jackals and peacocks a-plenty. There are leopards in the park but seeing one is a rarity – only 12 have been spotted in the past two years, our sharp-eyed guide tells us. Back at the resort, we ended the day on a high at Il Mare – a contemporary Italian restaurant perched on the cliffside. 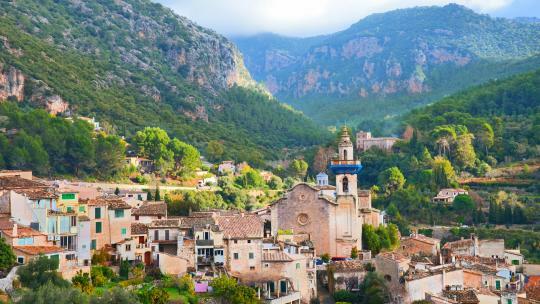 The culinary offering here is excellent, combining local fishermen's catches and gourmet Mediterranean ingredients. Try the wagyu beef lasagne. If you’re a foodie, book a place on a traditional Sri Lankan cookery experience with Spice Spoons, which starts with a visit to the local fishing harbour and fruit and vegetable market. Your chef then prepares the ingredients and takes you through the step-by-step processes of your chosen dish. We assisted chef Jayantha with cooking Kalapu Isso Lunupumbala Beduma (batter-fried lagoon prawns with a curry, coconut sauce) and a selection of crab and vegetarian curries. Not only do you get to the eat the meals once they are cooked, you’ll be given a certificate, recipe cards, chopping board and apron to take home. A trip to two luxury hotels in Sri Lanka wouldn’t be complete without a visit to a spa. 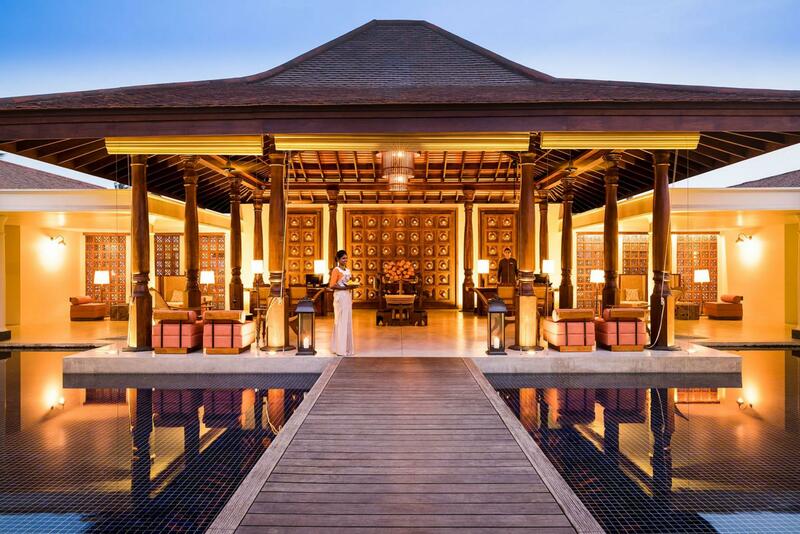 Anantara's spas take a holistic Ayurvedic approach, placing an emphasis on wellness. I tried the signature massage at both resorts, and despite subtle differences, each treatment left me feeling remarkably zen. Sunrise yoga overlooking the Indian Ocean in Tangalle is an ideal way to start the day, a peaceful memory of Sri Lanka that I will treasure forever. We flew with Emirates from London Heathrow to Dubai (six hours 45 minutes in flight), where we had a three-hour stopover before heading on to Colombo (4 hours 25 minutes in the air). With the checking-in time it came to around 18 hours in transit, but non-stop flights are available. Do check the weather before departing, while never cold (certainly as us Brits know it) we did get caught in an almighty downpour when we visited in October and when the sun is out, it is incredibly hot. Do pack a waterproof layer along with your suncream, sunglasses and hat if there is a chance it might rain. Insect repellent is a sensible move too. I wasn't bitten but mosquitoes feasted on my friend's bare legs. 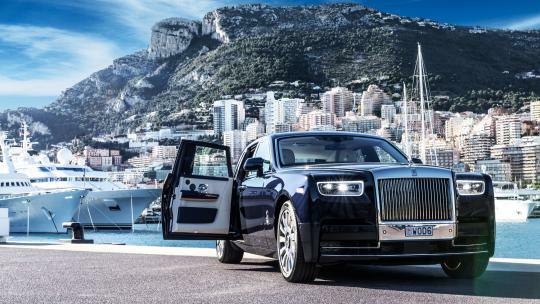 The changing face of luxury in Sri Lanka is apparent but authenticity prevails. I hope that is always the case but do try to visit soon, before everyone else cottons on.